Buckle up for this deep woods off-road ATV adventure. Sit back, strap yourself in, and hit the accelerator for the off-road adventure of a lifetime! You’ll cruise mountain trails through a harvested area of timber. This is the perfect route to your off-road ride. 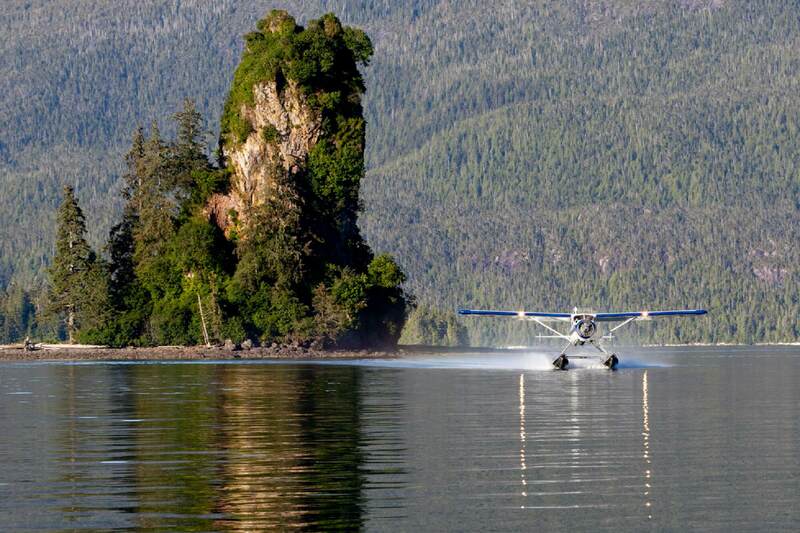 One where you’ll stop and take in spectacular views of the Tongass National Forest, Behm Canal and Alaska’s fabled Inside Passage. 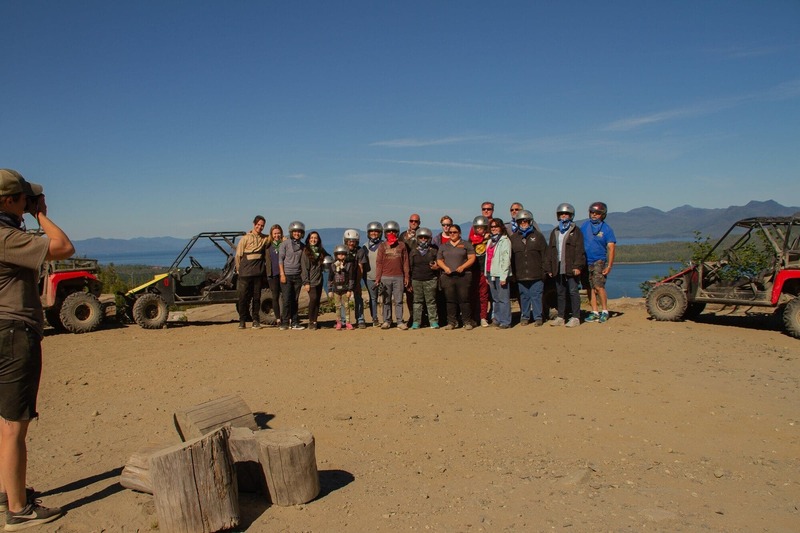 Here’s how your Kart ATV adventure will roll along. Learn about the history, culture and economy of Ketchikan during a motor coach drive to your starting point. 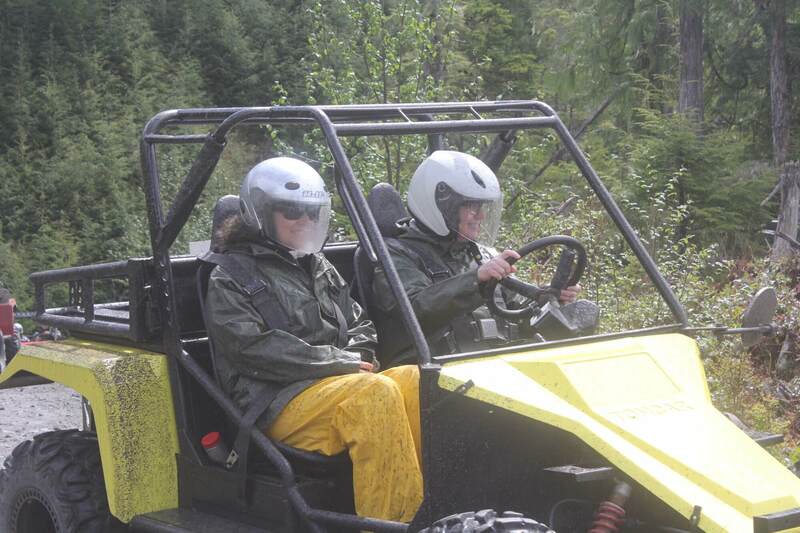 Then you’ll be prepped to take on the rugged Alaskan wilderness from the driver’s seat of a specially designed off-road adventure kart. Highly trained and experienced guides at the Adventure Kart base camp will give you a safety briefing and help you gear up for the exciting, one-and-a-half-hour guided trek. You’ll feel the rush of adrenaline right away when you set out in a custom designed Tomcar that puts your driving ability to the test. 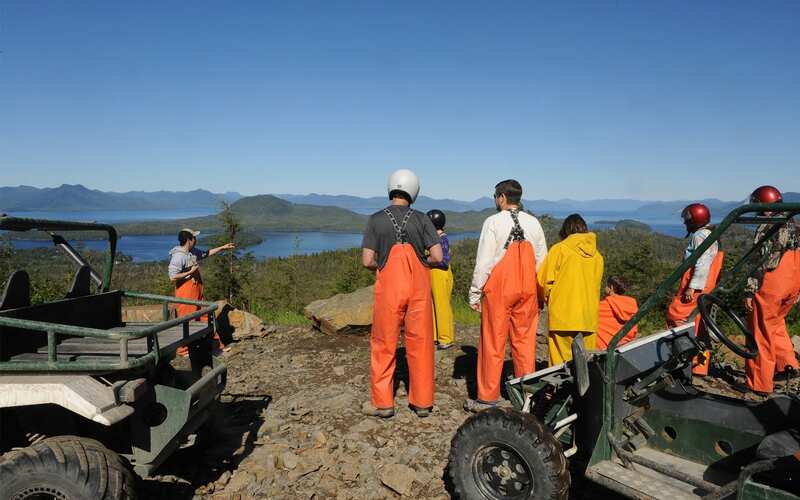 Get Dirty and adventure into Alaska’s wild side. 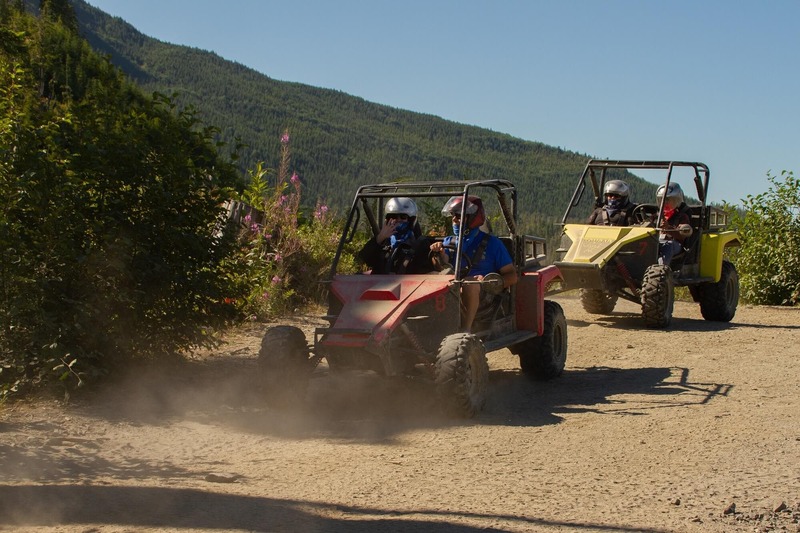 You and your passenger will set off in a caravan of karts, with your guide in the lead ATV. 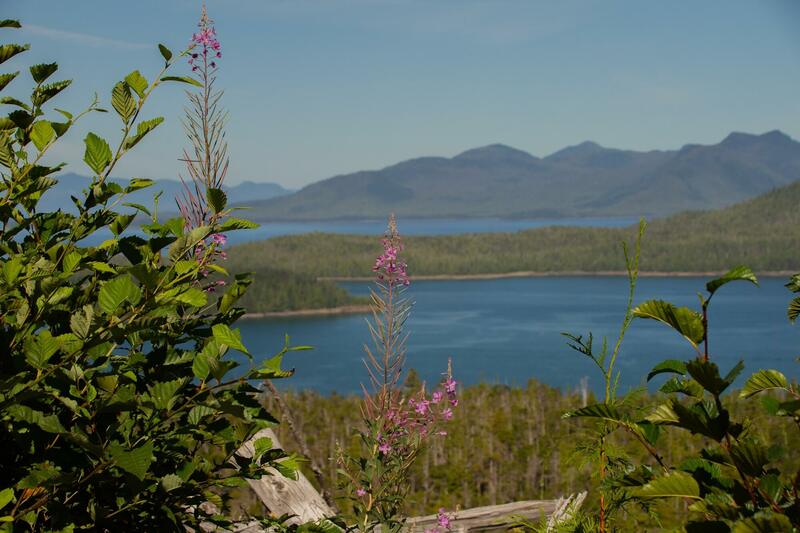 You’ll be exploring the remote back country of the Tongass National Forest along several miles of improved forest trail. A comfortable pace is maintained as you thread your way through mountainous roads, around steep curves, on the climb to the awe-inspiring views. Stops will be made along the way to soak up the grandeur and beauty of this lush green land. Nice time for a snack and drink, and then drivers and passengers can switch positions for the return trip. Be on the lookout for wildlife along the way. Eagles, deer or bears are often seen and heard! Please Note: Rain bib, rain jacket and a helmet are provided. If you want to be a driver, you must show a valid driver’s license. Karts accommodate two people and are not recommended for anyone with neck or back problems or expectant mothers. Children under the age of 18 must be accompanied by an adult. Tour conditions are affected by the weather, and your drive may be muddy or dusty. The weather can change quickly. 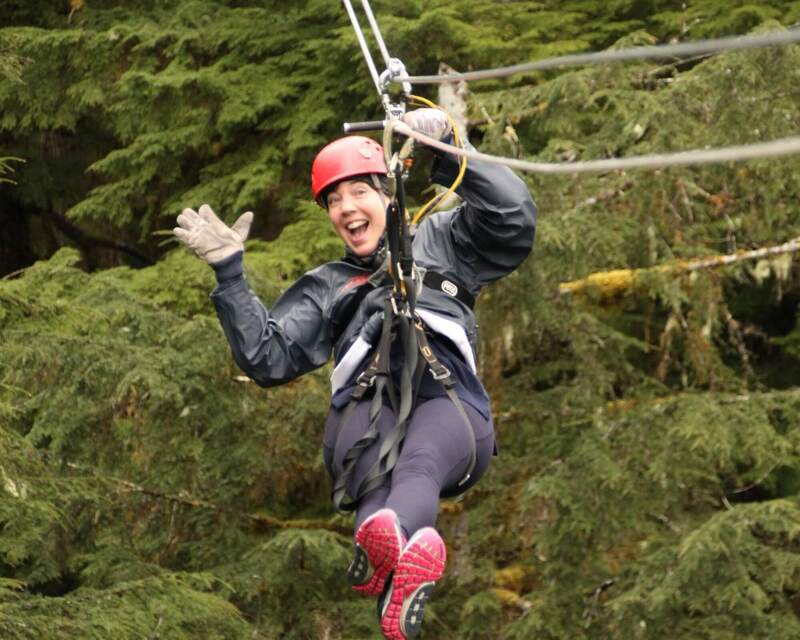 Participants should be adventurous and in good physical condition. Kart ride is bumpy and not recommended for pregnant women or guests with neck or back problems. I'd never driven a Tomcar before. It was fun. Because I didn't have a friend or partner, I was teamed up with another solo lady. She drove first then I drove on the return. I must admit I was hoping for a longer drive time however the outing was enjoyable. A note to self is "don't wear light coloured clothing...it won't stay light". Lol! Very dusty the day we went but that added to the experience. The staff were all great. I lost one of my diamond stud earrings that day and didn't realise until I had returned to the ship. I had an inkling that it may have come off when I was trying on the helmets. When I returned to Australia, I sent a message in case it turned up. Thankfully it did and Bethany has been kind enough to post it me. Thank you Bethany. Stop debating and just do it! Luckily the day we did the Kart expedition it had been raining which made the adventure so much more fun! We had a small group so we were able to get through the trail faster and were able to go through the big puddle and "get dirty!" Our guides were Rihanna and Aubrey and they were super knowledgeable and were able to answer any of the questions! 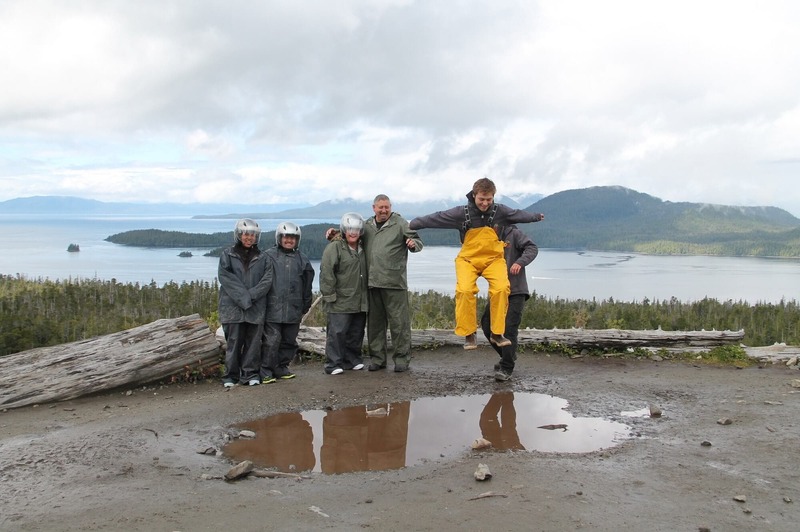 I flew to Ketchikan with a group of 9, 5 adults and 4 kids. We were visiting relatives and they set this up at Adventure Karts. I was pretty excited because the weather was predicted as sunny and warm. When we got to the site we hung out for a bit and then were given an orientation speech by 1 of the 2 guides. Afterwards we suited up in rain gear bibs (even though it wasn't raining I'd recommend wearing) and helmets. Next the second guide gave instructions on how to operate the karts. I was pumped to get started. Make sure if you plan to drive you bring your drivers license. First off the karts don't go super fast but I had expected that. you have one lead guide and the second guide trails the group. I was in a 2-seater and my brother had a 4-seater, with the kids. I had also brought along a GoPro and was able to mount it on the front of the kart, just make sure you bring the right mount. The ride up was pretty cool but there were times when we had to go slow. Since it was a sunny day, it was dry and a bit dusty. If it is rainy or if it recently rained iy may not get as dusty. These are old dirt logging roads so it has multiple potholes and puddles. Additionally you won't have scenic views the entire time. I think the fun part was ripping through those old roads and really getting an off road feel. The first stop we came to this beautiful spot that had a stunning vista. The guide stopped and we got out to take pics and hear them talk about the area. We took tons of pictures. Eventually we headed off to the next stop and walked about 2 minutes to view some waterfalls. Again we were able to take pictures and chat with the rest of the group. They did have a snack of granola bars and water, so don't expect having hotdogs and sodas. The guide then brought us back down to the main area. It was a fun trip and the kids absolutely had a blast. 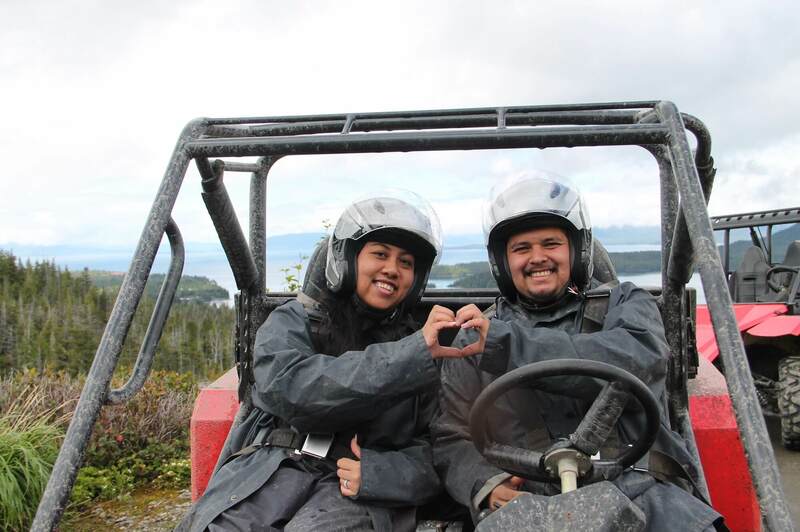 They've never ridden a 4 wheeler or ATV before so this was a new experience for them. Overall the guides were great and the 2 stopping points had really nice views. Since the karts get stretched out just remember to use the suggested hand signals to communicate with each other when driving. I wanted to do something different, get some great pics with great views, see something that is unique to Alaska/Pacific NW(logging roads) & make sure the kids come away feeling like they did something awesome and cool. Adventure Karts exceeded the expectations I had.